The assassination of Julius Caesar is one of the most notorious episodes in political history that is famously retold in plays and books. 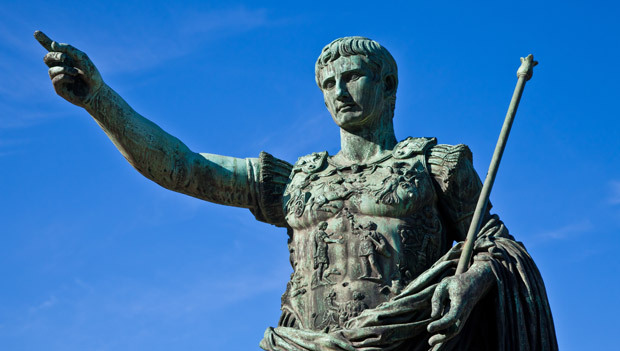 Julius Caesar, who was dictator for life of the Roman Empire, was assassinated on 15 March, 44 BC, on the Ides of March. The assassination was the result of a conspiracy involving around 60 senators, taking place in a meeting room next to Pompey’s Theatre. Julius Caesar was stabbed to death. Largely revered by the common people, the nation’s leader established many reforms to build Rome into a strong and stable city. This included distributing land and grain to the poor, creating a new calendar and providing gladiatorial games and banquets. He reduced unemployment and cleaned up the city. He even built a public library. Despite these popular reforms and after having been hailed a hero following his return from battle in the east, his political rivals and even some of his closest friends became uneasy and panicked by the changes Julius was making to the city. They believed they no longer had a say in how the city was shaping, as he gained more power. Additionally, Julius Caesar displayed an arrogant streak that irritated those closest to him. Although he was granted many honours, Julius became very vain and wore garments that elevated his image and status. He was considered more akin to a divine figure than a political leader, as he sat on his throne, refusing to rise as a mark of respect to anyone. Many of his senators believed he was losing his judgement, and they detested the way his ruling wasn’t in line with traditional Roman values. A conspiracy plan was hatched to topple the tyrant from his throne, and although both friends and enemies were part of the plan, four ringleaders emerged. Gaius Trebonius had fought with Julius in Spain and Decimus Junius Brutus Albinus was governor of Gaul. Both felt they hadn’t been adequately rewarded for their services to Julius. Naval commander Gaius Cassius Linginus was the conceiver of the plot, while Marcus Junius Brutus was the brother-in-law of Cassius and had served under Pompey. Brutus was also the son of Caesar’s mistress. The conspirators orchestrated the attack to occur before Julius Caesar intended to leave Rome for a battle against the Parthians on 18 March. A number of omens occurred that day that should have kept Julius away from the fateful meeting, but he went ahead and attended, despite ill health and receiving a note warning him of imminent danger. Once in the meeting and sat on his throne, Casca was the first to strike Julius with his knife. Cassius then attacked him in the face and Deciumus charged at his ribs. He received 23 blows in total. Despite the highly orchestrated assassination plan, the conspirators had done little to prepare for the aftermath of Caesar’s death – Rome was plunged into a state of confusion and chaos. Although the assassinators were granted amnesty, they all met an early death and the Roman Empire was put under the charge of Caesar’s adopted son, Octavian. When you choose &Meetings to accommodate your conferences, there won’t be any dramas – just high quality rooms at affordable prices.